Father’s Day falls on June 19 in U.S.
Father’s Day in the U. S. is celebrated on the third Sunday of June — this year it’s June 19. There are a range of events, which may have inspired the idea of Father’s Day. One of these was the start of the Mother’s Day tradition in the first decade of the 20th century. Another was a memorial service held in 1908 for a large group of men, many of them fathers, who were killed in a mining accident December 1907 in Monongah, W. Va.
What is known is Sonora Smart Dodd was an influential figure in the establishment of Father’s Day. Her father raised six children by himself after the death of their mother. This was uncommon at that time, as many widowers placed their children in the care of others or quickly married again. Sonora was inspired by the work of Anna Jarvis, who had pushed for Mother’s Day celebrations. Sonora felt that her father deserved recognition for what he had done. 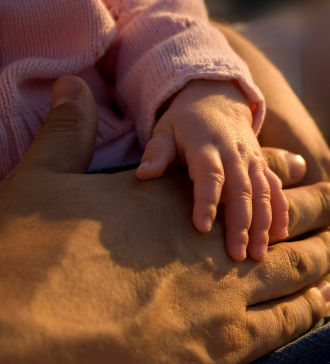 The first time Father’s Day was held in June was in 1910. Father’s Day was officially recognized as a holiday in 1972 by President Richard Nixon. The date when Father’s Day is celebrated varies from country to country. It is also celebrated in Canada and in the United Kingdom the third Sunday of June. It is also observed in countries such as Argentina, Canada, France, Greece, India, Ireland, Mexico, Pakistan, Singapore, South Africa and Venezuela. In Australia and New Zealand, Father’s Day is on the first Sunday in September. In Thailand it is celebrated on December 5, which is the birthday of the country’s king. Brazilian dads are honored on the second Sunday of August. For more information about Father’s Day, visit the source of this information at www.timeanddate.com/holidays/common/father-day. For unique gift ideas, visit www.gifts.com/fathers-day/G0T or http://frugalliving.about.com/od/specialoccasions/tp/Fathers_Day. Those looking for affordable gift ideas under $100 can find those at www.mint.com/blog/how-to/11-affordable-fathers-day-gifts-dads-will-want.